When a PGA golf professional ends up falling in love with one of his golf students, a wedding on the links is a natural step! Brandon and Lauren tied the knot in their Kiawah wedding right on the Ocean Course, which was a perfect way to celebrate their destination wedding with their family and friends. The couple combined their love of the links with their desire to see the world, and created the wedding of their dreams in Charleston. Lauren and Brandon hail from Minneapolis, Minnesota, but wanted to find a sunny spot with fantastic weather for their nuptials. 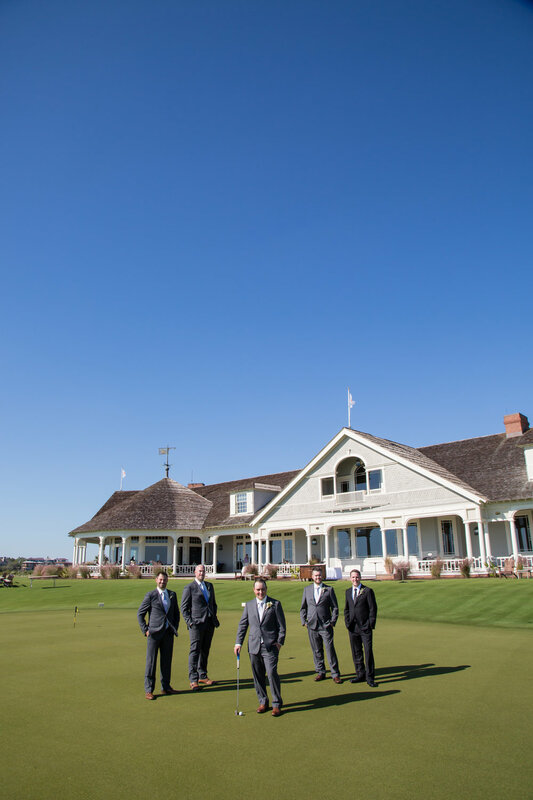 Says bride Lauren, "We were looking for a location where we could enjoy golf, beautiful scenery and great local food." 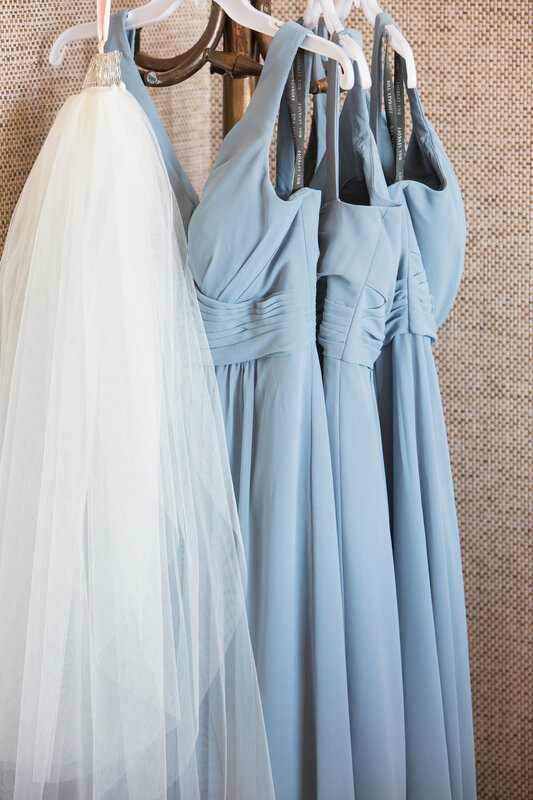 After trying a few local favorites and touring Kiawah Island, the two knew they'd found their destination wedding locale. "Kiawah Island was a perfect spot for our guests to stay close to all the wedding activities and enjoy themselves before and after the wedding. We also wanted to be able to play a special round of golf with our friends and family and the Ocean Course was the perfect setting!" states Lauren. This globetrotting couple met in Minnesota, but their love affair is global! The two visited Italy together, and on the second night of their trip, they took in views of Venice as they sipped Prosecco and watched the sun set. The picturesque setting was perfect for a romantic gesture, so Brandon decided to go big or go home. Bride Lauren remembers, "I was busy taking pictures and turned around and found him on one knee, and of course I said yes!" After an international proposal, the couple had to find somewhere that would live up to the demands of a destination wedding for their guests. The Southern charm and stunning landscapes of Charleston made the Lowcountry an easy pick for their big weekend. Since many of their 40 guests hadn't been to Charleston yet, Brandon and Lauren wanted to give them a taste of the area (literally!). "We incorporated some local food like Shrimp and Grits for hors d’oeuvres and She Crab soup so our guests could try some local favorites. That was a really important element for us and probably one of our favorite parts of the wedding," remembers Lauren. Since the couple loves golf--and their relationship was intertwined with the game--their decision to marry on a golf course was a no-brainer. Brandon and Lauren incorporated the game into their wedding in multiple adorable ways. After their stunning ceremony on the Ocean Course, they worked with photographers Corrie and James from MCG Photography to grab a few wedding portraits on the course. Remembers Lauren, "During our cocktail hour we actually ended up on the putting green with Brandon’s caddy from earlier in the week." The reception elements also continued the golf theme. Their napkins had a golf monogram, and their wedding hashtag was #BrandonPUTTaRingOnIt. In addition to their wedding cake, the couple also offered their guests another sweet treat: golf ball cake pops. Their send off was far more appropriate to their theme than sparklers or confetti. The had their guests create a golf club arch for a perfect golf send off! Having a destination wedding limited the number of guests that Brandon and Lauren could invite; while creating the guest list meant that they had to make some difficult decisions, the resulting party was intimate and memorable. With only 40 attendees, their wedding moved at a more relaxed pace and allowed them to spend time with each of their guests. Instead of stressing on their big day, the destination wedding gave Brandon and Lauren the ability to enjoy every moment. "I was even able to go for a walk on the beach in the morning before all the getting ready began," says Lauren. That relaxed, intimate feel continued throughout the day. "One of my favorite parts of the day was that were able to have all of our guests sitting at one long harvest table that was beautifully decorated with gorgeous flowers. I remember being able to enjoy looking around the table and seeing all the people who were so special to us all in one spot enjoying their dinner," remembers the bride. Beyond keeping the guest list small, their key to a successful relaxing destination wedding was a reliable team of vendors who helped absorb any stress. State Lauren, "Working with Cindy from Engaging Events was such a blast and she literally brought to life everything we wanted. Even more, the wedding day went so smoothly and we didn’t have to worry about a thing. Looking back, I’m just amazed at how enjoyable that made everything for Brandon and me as well as our entire family!"